We now have cattle that are finished and ready for your freezer. If you or anyone you know is interested in buying some freezer beef fresh off the farm, e-mail or call me for prices. We do not implant any of our cattle with hormones and feed only natural protein feeds. Current Price is $2.25 a pound, prices change almost daily however, so please call or email. Selling whole, halves or quarters. 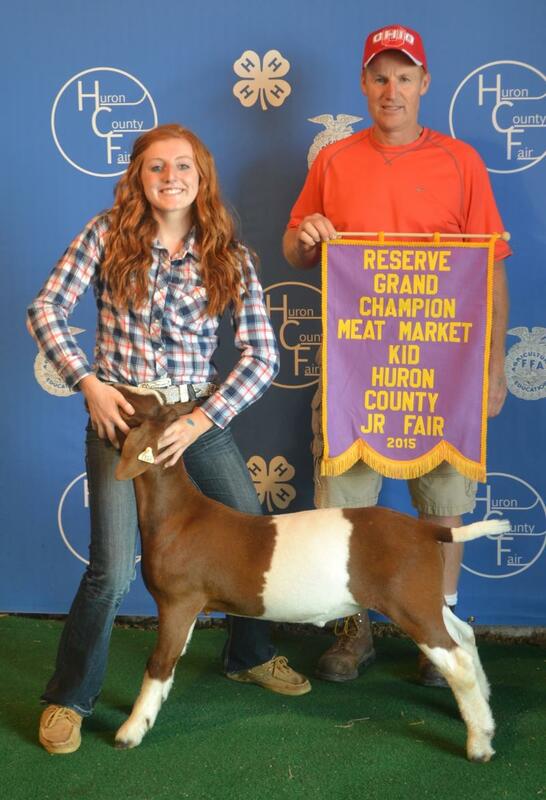 Reserve Grand Champion Huron County Fair. 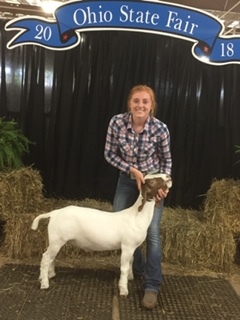 Summer also received with her other goat first in class and third overall. Good job Summer Sweeting! 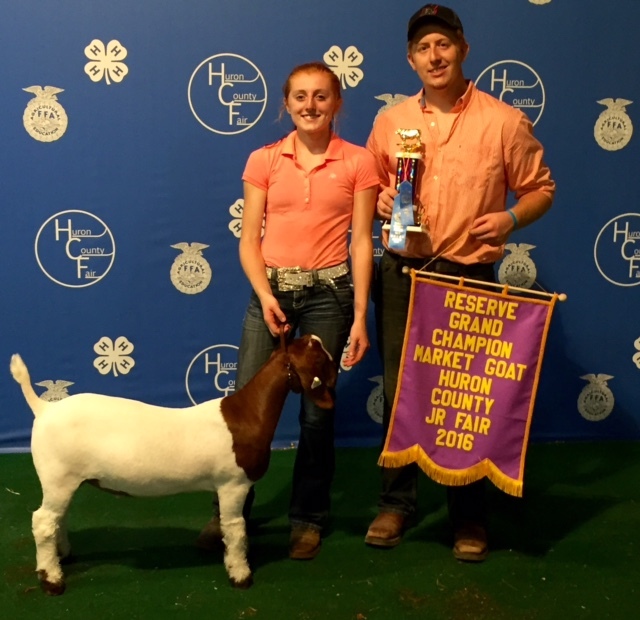 Congratulations to Lindsey Pugh and Family on exhibiting the Grand Champion Market Wether at the 2015 Stark County Fair, Canton, OH. 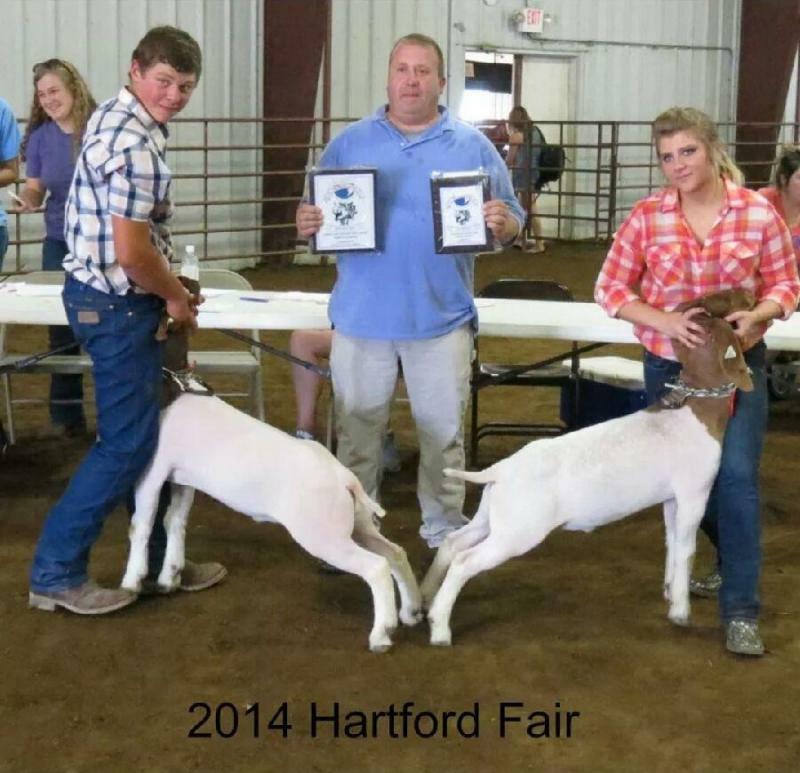 Call or E-mail Don about any cattle or goat questions. 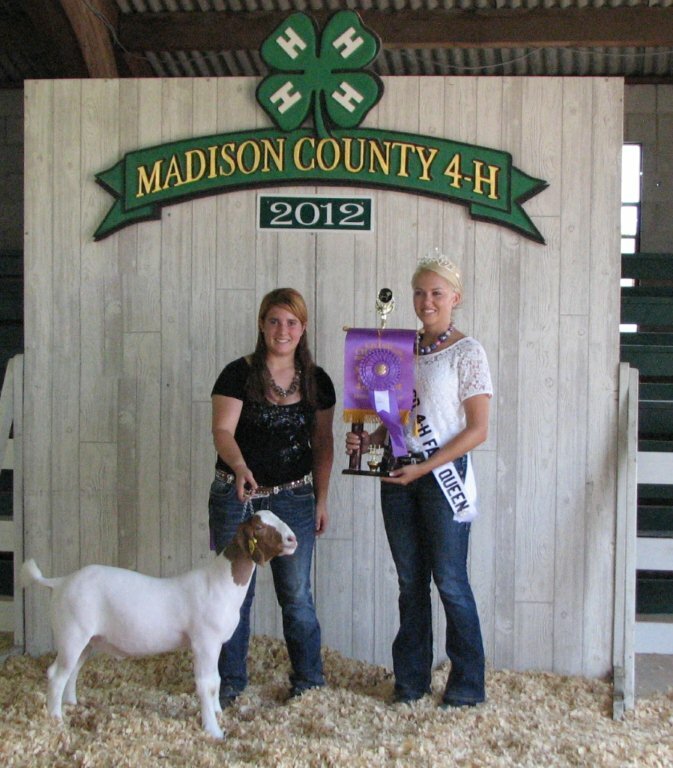 Grand Champion Huron Co. Fair and with her other goat got 1st in class and 3rd overall. 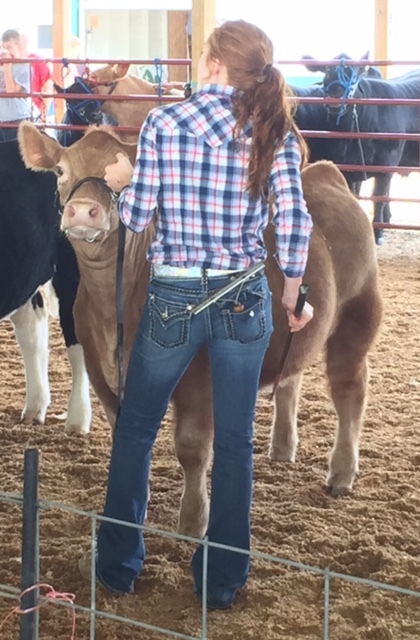 Bucyrus commercial cattle show 3rd place pen of steers. Goats are bred for January, February, & March kids. Email us in late March or early April for your next champion. 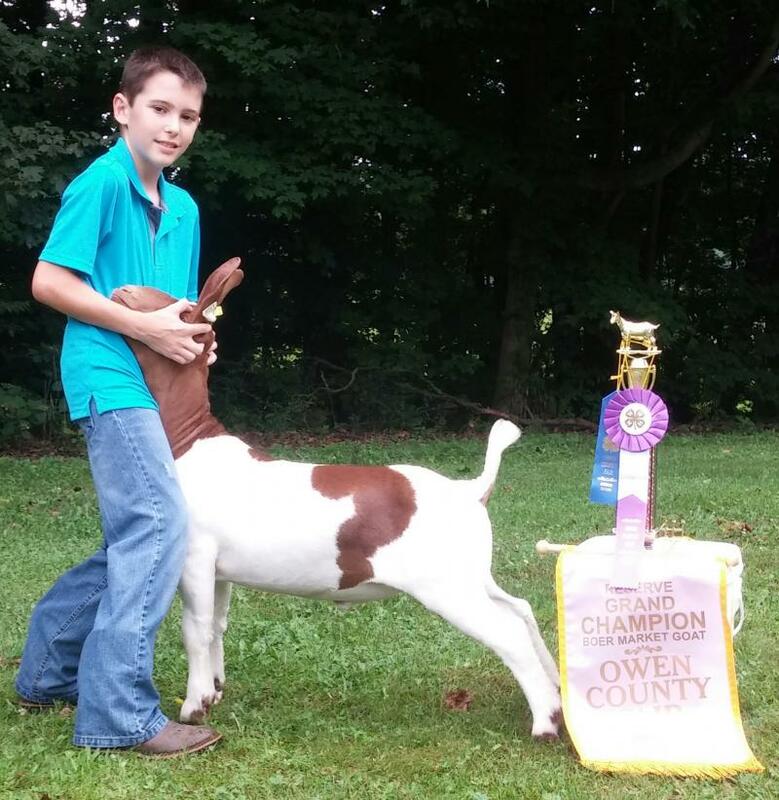 Huron County Reserve Champion meat goat. 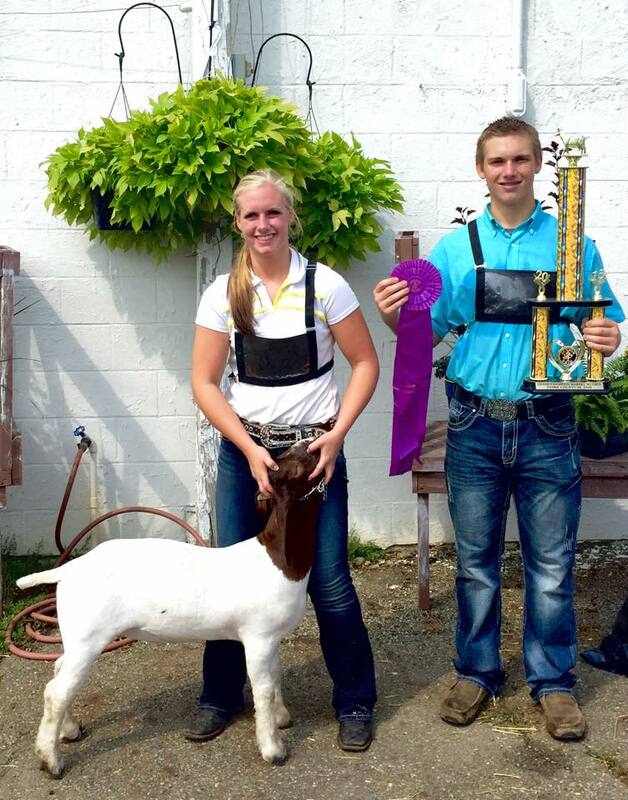 Huron County 5th overall meat goat. 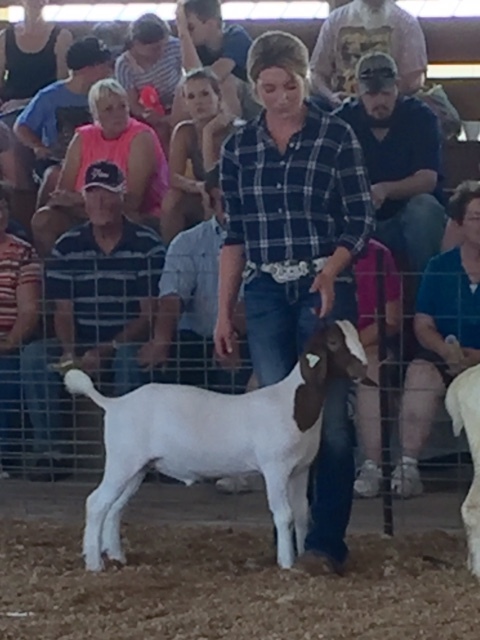 Holmes County 4th overall meat goat. 2011 show results of Sweeting cattle genetics. Ohio State Fair Grand Champion pen of three commercial cattle. Ohio State Fair 1st place with pen of steers and pen of heifers. 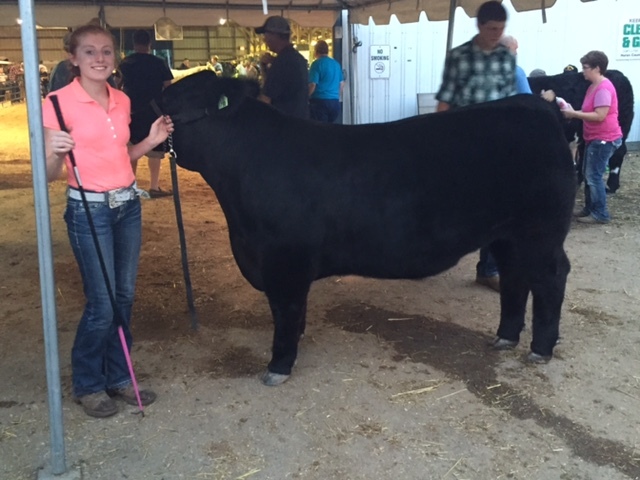 Ohio State Fair 4th place with a pen of steers in the carcass show commercial pen of 3 steer show. Huron County Grand Champion beef feeder calf. 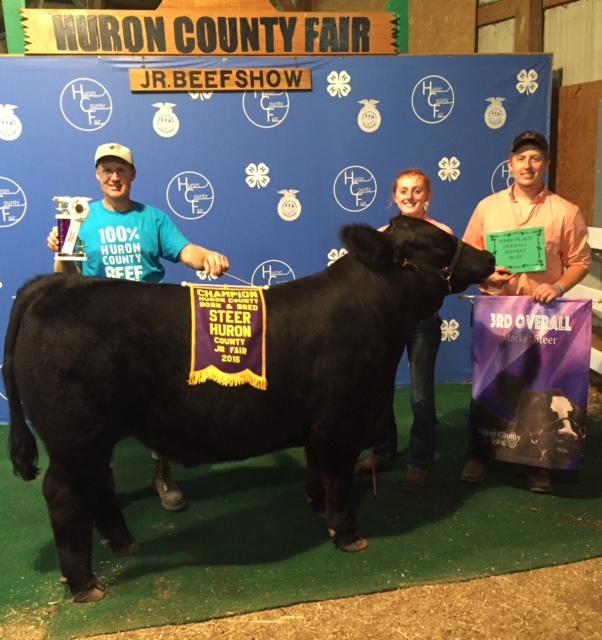 Huron County Grand ChampionCounty Bred & Born market steer.